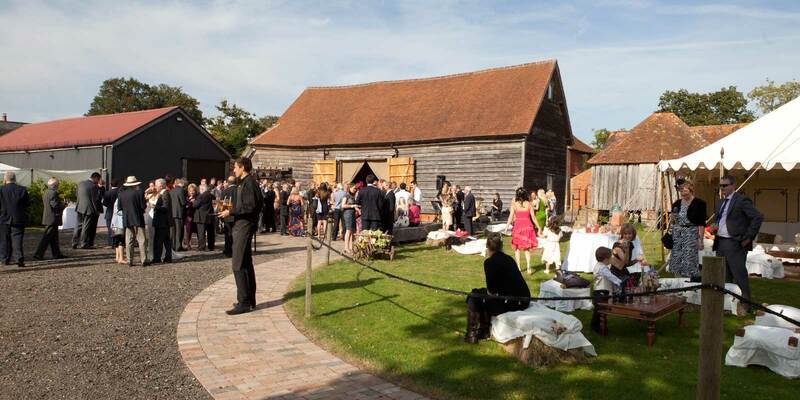 The Old Greens Barn in Newdigate, Surrey, is a delightful venue for your event. 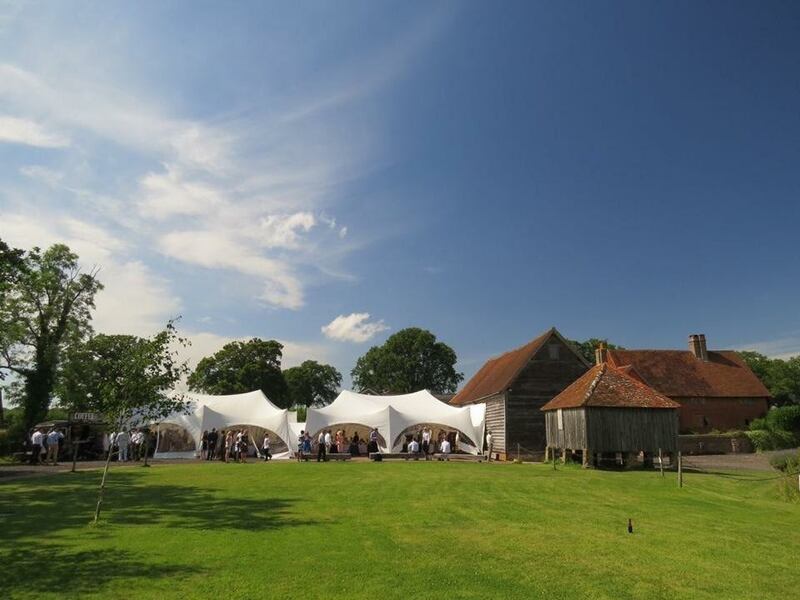 It is a magnificent restored period barn located at Greens Farm (one of our two farms in Newdigate) and provides approximately 1500 square feet, which can be supplemented by marquees. There are toilets, a food area, and ample parking. 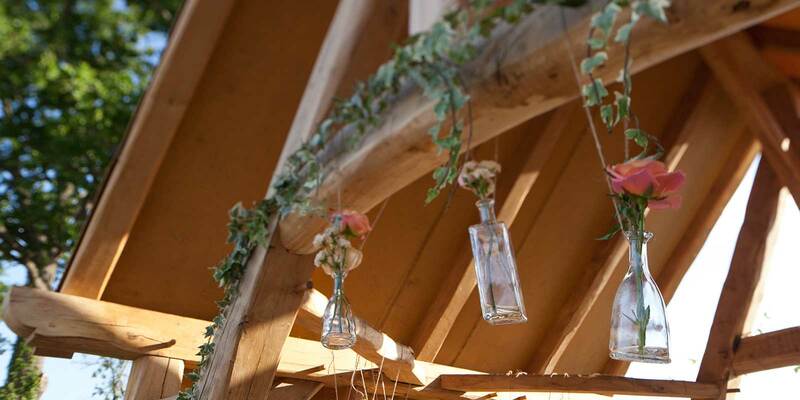 The barn has been restored using traditional materials, and overlooks one of the fishing lakes. 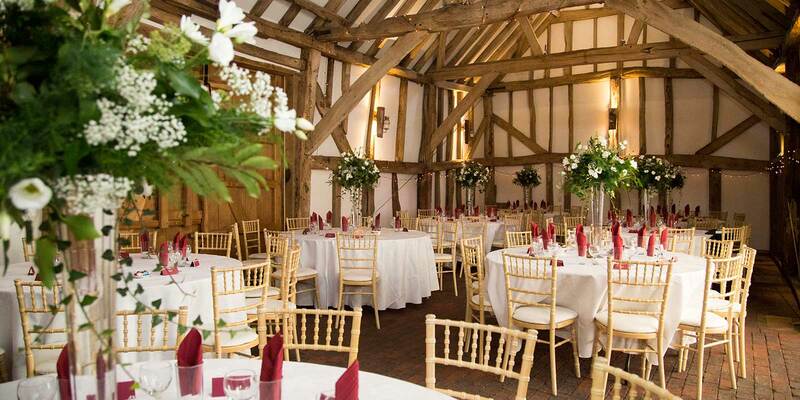 The barn is the ideal venue for; Weddings, Birthday Parties, Meetings, Conferences and Wake Events. 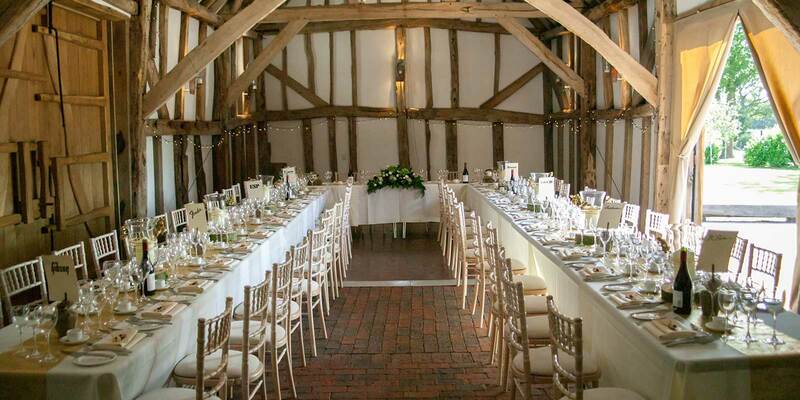 The barn also features traditional local brick flooring and in addition, there is a beautiful Oak Cruck frame. 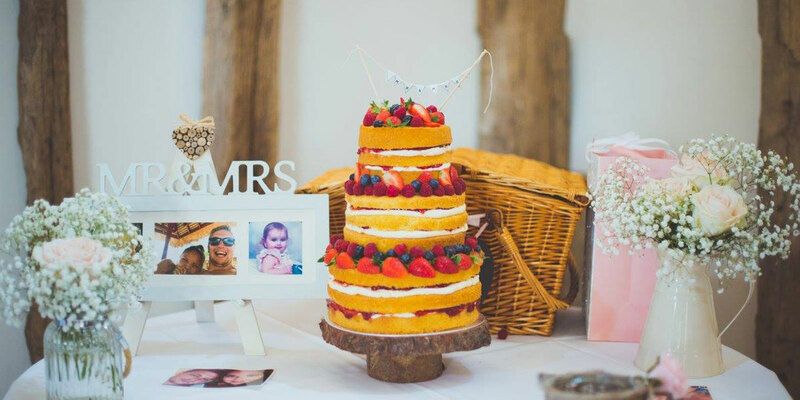 The frame gives you a rare setting for photos or can be used as a unique feature down on the lake, please see pictures below. 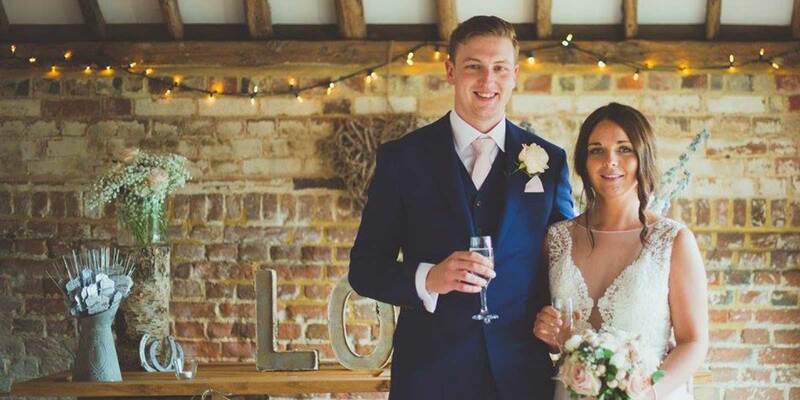 We highly recommend a visit to Old Greens Barn so you can take in the beautiful surroundings and see if this is going to be the ideal venue for you. Please note the premise is not licenced to accommodate a paying bar for your event, all alcohol must be provided via a Free Bar. 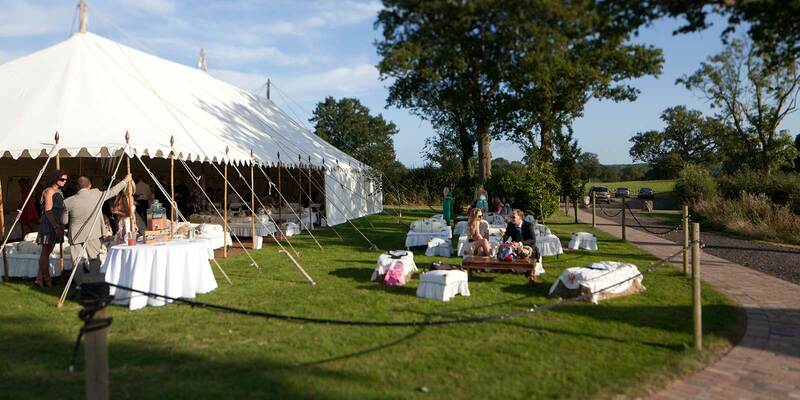 The Old Greens Barn can be enhanced by the addition of a marquee for your event and to assist you we have prepared two plans providing information indicating the possible location and dimensions for marquees and the pre-installed marquee anchoring points. In consideration of residents living close to the barn, we ask that live music finishes by 10.30pm and all music is turned off at 10:45pm. The venue itself is to be vacated by 11.30pm. 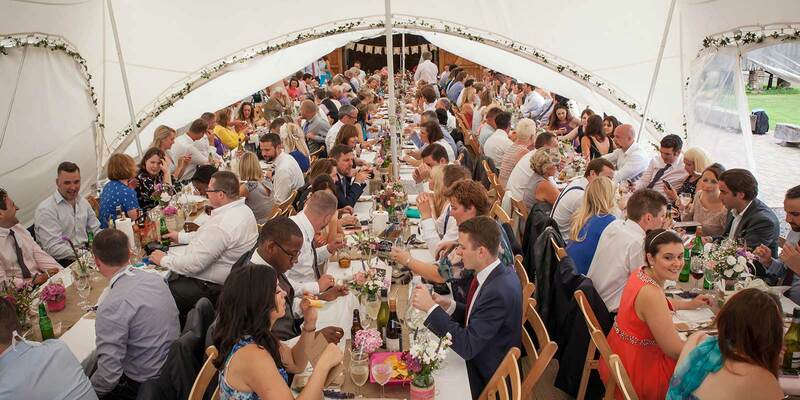 Pricing for 2019/2020: Barn hire including cruck frame is £3,150/£3,300 (inclusive of vat) for a three day hire plus £1,000 security deposit (which is fully refundable upon the barn being returned in the same condition that you hired it in). 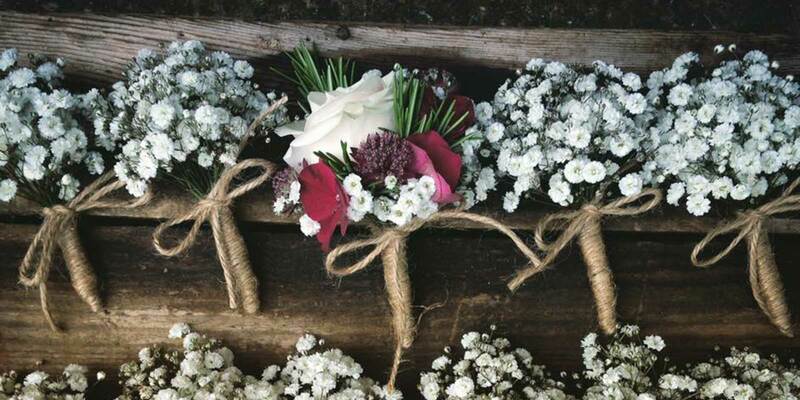 Funerals, Meetings, Parties etc. are priced individually, please contact us for more information. 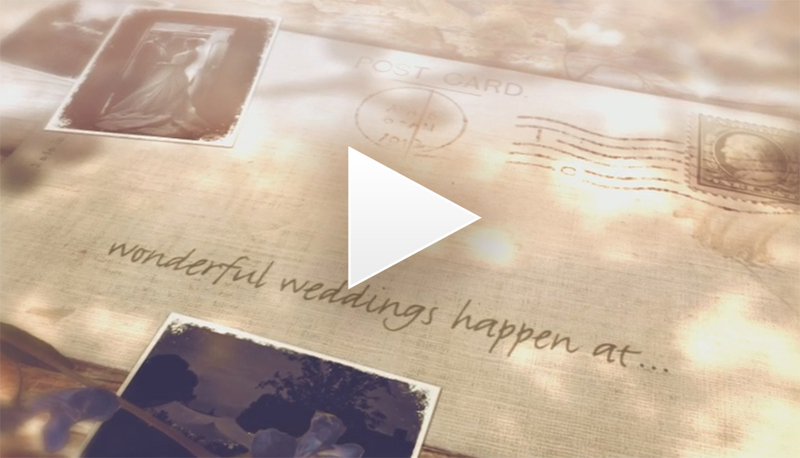 Having been to a wedding at Old Greens Barn some years ago, we decided to have a look at the barn when it came to planning our wedding. 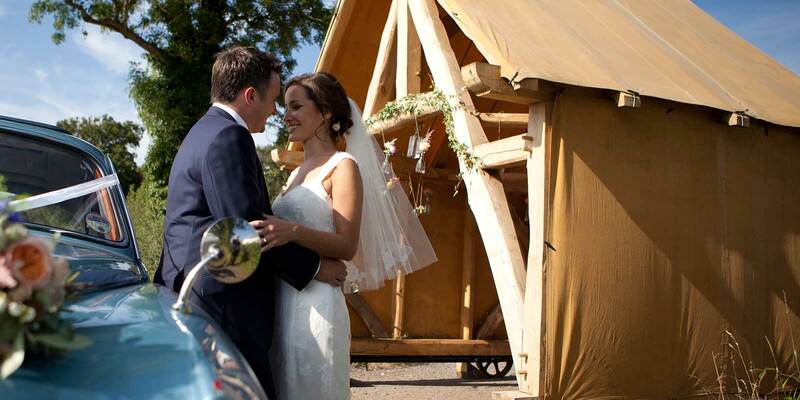 We immediately fell in love with the venue and knew it was the perfect place for us. 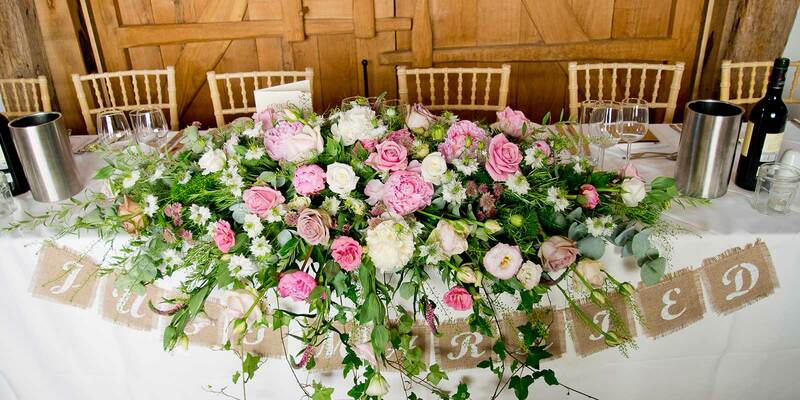 Debs showed us around, the barn along with the surrounding grounds and countryside were stunning!